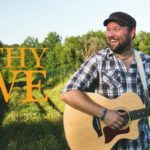 Timothy Howe is the singer/songwriter who will be featured during the Cannon River Winery’s Valentine Sweetheart Special. His style combines acoustic looping with smooth vocals. Playing originals as well as covers, Howe is often compared to the stylings of Bruno Mars, Jason Mraz, and Gavin DeGraw.